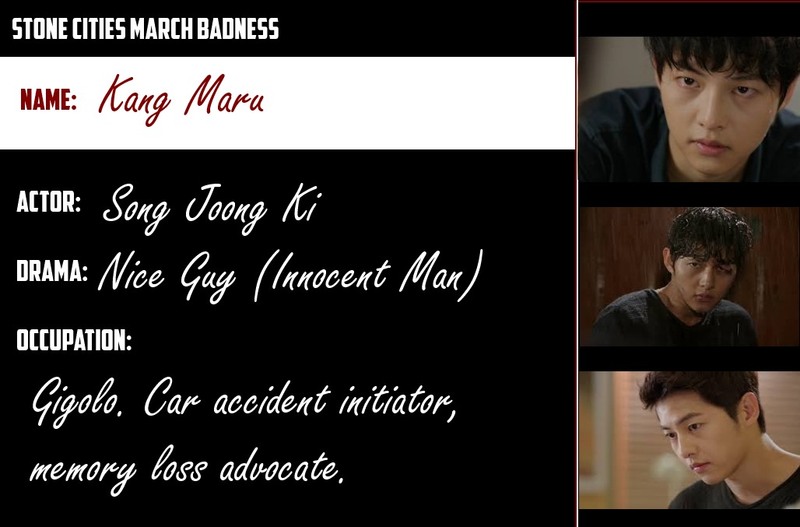 March Badness: Round 2 -with New Prizes! 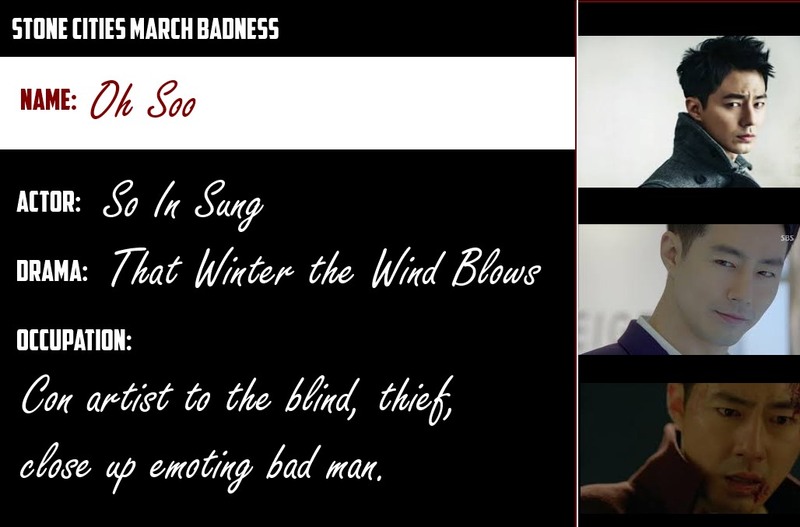 The votes are in – the top 8 baddies have been selected! 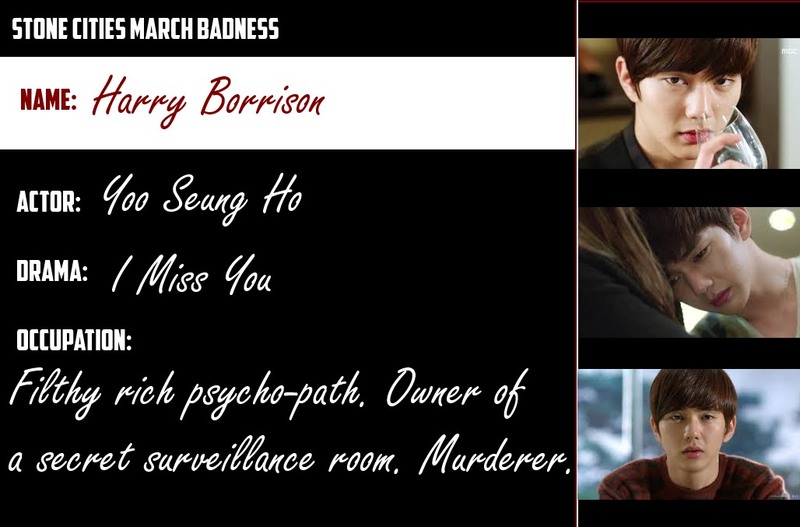 Now it is time to bracket off the villainous guys and gals and indulge in a second round of March Badness! Oh, did I mention we have upped the prizes? Because we did. 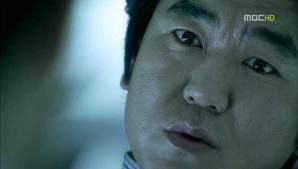 Making a Korean-drama-nefarious-character-centric game based on College basketball never felt so good. Cheers! You now have until March 16th to enter the contest! And we have a new giveaway item – a sweet $30.00 USD gift certificate to Yesasia (the premiere Asian film / tv/ music e-tailer). You can check them out here. And remember, one month free of Drama Fever premium is still being given away as well. 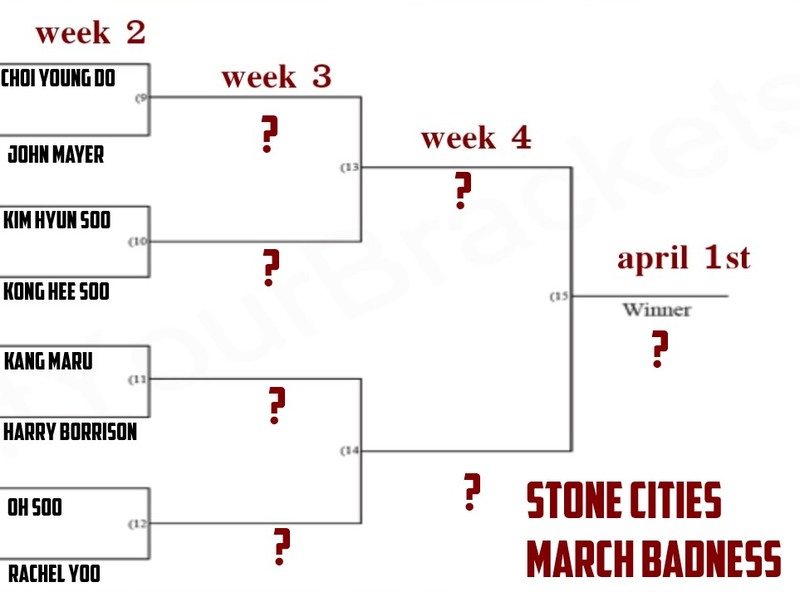 Tell us in the comments which baddie you think will win Stone Cities March Badness. 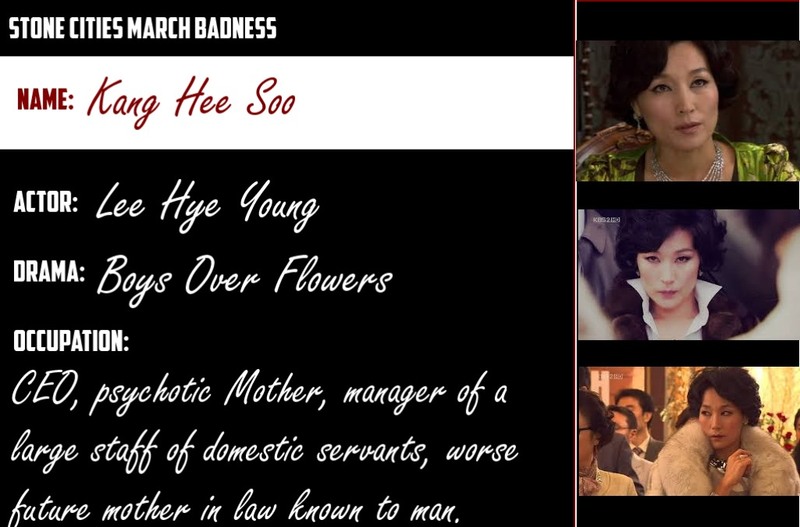 Tell us who your all-time favorite bad guy or girl from Korean dramas is and why. Based on your votes here is who is moving onto round 2. The bracket was assembled randomly (no, seriously, I busted out my mad excel skills and randomized the random out of this list). Remember to vote for who you want to move onto round 3. Vote often, vote every day. 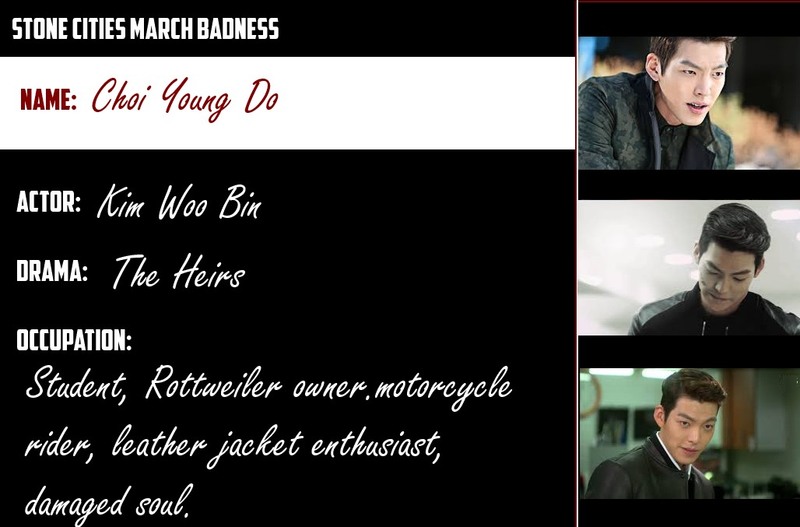 May the best baddie win. Huzzah! Click on the baddies name for their profile info!